If you're looking to purchase or trade cryptocurrencies, a crypto exchange is what you're looking for. On this page you can find an overview with trusted crypto exchanges. Listed on the Canadian Securities Exchange since 2013, Allcoin is based in Vancouver, Canada. It is world’s single listed digital assets exchange and is ranked amongst the top 40 exchanges for its 24×7 trading volume. Favoured for offering exceptional trading pairs such as GAME/BTC (Game Credits), DWC/BTC, BTC/USD and, Qtum /BTC, it is one of the two exchanges where one can buy Qtum Equity Tokens. As the name suggests, one of the major goals of the exchange is to concoct a market for trading ‘all coins’. The exchange professes itself to be the “the Nasdaq of global blockchain assets”. Activated in June 2017, the decentralized exchange allows its users the flexibility of controlling and converting the tokens into other tokens available on the network. Bancor brings with it the ease of liquidity to the tokens and helps maintain the trading volumes in order to build a market price. The tokens are converted through the smart contracts, eliminating the second party exchange requirement. The protocol supports all tokens and a formula named ‘Bancor formula’ is used to calculate the conversion rate of tokens to and from BNT, enabling swift and automated conversions. Originated in China but eventually shifted to Japan due to persuasion, the Bibox cryptocurrency exchange gained momentum owing to its innovative features and the same helped it secure a place in top 15 exchanges worldwide. Having its own token called Bibox Token (BIX), it allows three trading pairs i.e. ETH/ BIX, USDT/ BIX and BTC/ BIX. In order to deal with situations like a security breach, the users are facilitated with a discrete fund password and TFA enabling. Being a major international exchange, it has no geographical boundaries and is therefore open to the foreign users. Celebrated for its cheap fees, Bibox charges a fixed rate of 0.10% from makers and no fees are charged from the takers. Located in China, Binance undertook active trading in July 2017. The cryptocurrency exchange gives its users the right to use a serviceable set of trading tools, security features and charts. An interactive interface for both beginners and professionals, it is equipped for administering a simple trade to a complex margin trading. The trading fee at Binance is 0.1% on each trade and it can be paid using its very own token BNB. The fees when paid using BNB goes on decreasing to a half for the next year of trading. However, the BNB being tradable on the exchange is subject to value fluctuations. Originated from Hong Kong, the Bit-Z cryptocurrency exchange was founded in the year 2016. Its rough $200 million of trading on a daily basis makes it a constant in the list of top 10 exchanges. It also enables over the counter assets. The exchange has so far been able to accomplish its security and stability goals. The exchanges’ own token goes by the name DKKT and supports enormous BTC pairs, considerable ETH pairs and few proprietary DKKT pairs. The platform is one largely affordable exchange amongst the list as it charges an average fee of 0.5% on trading. 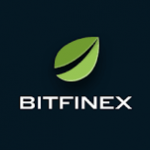 One of the profound exchanges in terms of bitcoin and altcoins trading, Bitfinex entered the market in the year 2012. The Hong Kong-based exchange extends its trading facilities for some of the major cryptocurrencies namely Monero, Ethereum, Zcash, Dash, Litecoin and Ehereum classic. Most common pairs being- Litecoin/Bitcoin, Bitcoin/USD, Dash/USD, Dash/Bitcoin and more. The maker fee at the platform amounts to 0.10% depending upon the trading volumes whereas the makers’ fee is 0.20% and is irrespective of the changes in the trading volume. Although the deposits or withdrawals do not carry any charge. bitFlyer from Japan is an exchange founded in 2014 and has succeeded in satisfying about 1 million users. It has a limited fiat pair servicing namely USD, EUR and JPY. It should be noted that the assistance is not yet extended to residents of Louisiana, Nevada, West Virginia, Hawaii etc. While a resident of Japan has the flexibility concerning the variety of payment options such as ETC, MONA, BCH etc. US users are limited to virtual currency, US dollar and Bitcoin withdrawals and deposits. An amount of 0.0008 BTC is charged as the deposits and withdrawal fee. Additionally, the transaction fee depends upon the trading value and frequency. The South Korean exchange found in 2013 has given the users access to trade world’s top 15 crypto coins and tokens at the platform. Tradable crypto coins include Bitcoin (BTC), Ethereum (ETH) and Ripple (XRP). Bithumb ranks among the top 10 crypto exchanges in terms of the trading volume. Getting on to the available payment options, Korean residents can make the payments using the fiat current only i.e. KRW whereas the users around the globe are required to fund their accounts to process the payments. The exchange charges a basic commission of 0.15% which lowers further on applying the discount coupons. The discounted commission varies from 0.01% to 0.07% of the trading value. Having won a start-up award in late 2016, the exchange has gained users trust in the cryptocurrency market. Bitpanda has expanded its feet throughout Europe in the past few years but it is to be noted that only European residents have the convenience of buying cryptocurrency on the exchange. An extensive range of options is available at the user’s discretion when it comes to making payments. The payment options include Credit cards, SEPA, online bank transfer, Neteller etc. While buying fee constitutes 1.49 %, the selling fee accounts for 1.29% of the trading and it is to be noted that the fees are beforehand included in the platform’s prices of each coin. Founded in 2016, the exchange is based in Ireland and has a considerably long list of tradable currencies to its credit. The currencies supported for trading at Bitsane includes Ethereum (ETH), Euro (EUR), Bitcoin (BTC), US Dollar (USD), Bitcoin Gold (BTG) and much more. The platform charges a standard fee of 0.2%-0.5% on every transaction made by the users. The US residents have the ease f not depositing or withdrawing the fiat currency through the exchange. The fiat deposits and withdrawal methods at the platform comprises Okpay, bank wire transfer and Advcash. The crypto exchange Bittrex is based in Seattle, Washington and was founded by Bill Shihara, Rami Kawach, Richie Lai and Ryan Hentz in the year 2014. It is a crypto-to-crypto exchange where you can’t possibly buy cryptocurrencies with fiat currencies. A lingering list of 190 non-identical cryptocurrencies is supported at Bittrex for trading and it constitutes of about 284 unalike pairings. The fee charged by the exchange aggregates to be 0/25% of every transaction made by the user. The usability of the exchange is limited to the corporate users as the platform is not as welcoming for the new users as for the selective invitees. Established in 2014 and founded in Refice (Brazil’s Silicon Valley), Bluetrade is an exchange which provides its investors and traders the service of crypto exchange. The founders of the exchange enjoy a very good reputation in the finance industry. When talking about the types of accounts, the user is not left with much option as there’s no provision for multiple account types. Deposits at Bluetrade are free whereas the withdrawals carry a certain amount of charge or fee. In order to transfer funds from their Bluetrade accounts, a user must previously have BTC or Ether wallet. Based in Melbourne, Australia BTC Markets crypto exchange is a platform which provided both crypto-to-crypto and fiat-to-crypto trading. While the transaction fee at the exchange is determined based upon the user trading volumes, the list of cryptocurrencies that can be bought or sold comprises of Ethereum (ETH), Bitcoin (BTC), Litecoin (LTC) and more. BTC Markets is certified by the ADCA i.e. the Australian Digital Commerce Association and can be accessed only by the Australian residents as Australian bank account is a prerequisite to making AUD deposits and withdrawals. The various payment methods accepted are BPAY, Cryptocurrency transfer and Osko. Launched in July 2013, it is the only platform that enables the exchange of Turkish lira against Bitcoin and vice versa via web training platform/API. Just like any other exchange, BTC Turk crypto exchange also charges a nominal amount for processing a transaction. The fee charged by BTCTurk is 0.00%-0.40% for crypto-to-crypto trades and 1.00% for fiat-to-crypto trades. Additionally, it provides 2- factor authentication and offline storage of funds. Being specialized in BTC/TRY trades, the funding method supported by the exchange is TRY bank transfers. bx.in.th crypto exchange was established in 2013 and is based in Bangkok, Thailand. With its head office situated in Bang Khen, Bangkok, the exchange extends its trading services to the users who are willing to trade various cryptocurrencies against the Thai Baht. You can trade either by web-based order book by simply entering the amount that you wish to spend for your BTC purchase or you can specify the type of order, where you will identify clearly the price at which you want to buy. The exchanges charge a standard fee of 0.25% per transaction and the platform supports around 20+ cryptocurrencies. Changelly is a cryptocurrency exchange based in Prague. It is a platform for Bitcoin and altcoin exchange. The exchange is flexible regarding receiving payments in other cryptocurrencies and it also gives you the option of buying coins with debit or credit cards. For instance, you can purchase Zcash or Menero XRM with UDS, Credit or debit card. Nevertheless, the debit/credit card rates are comparatively higher. Going further, the exchange is accessible by users around the globe. The exchange is effectively processed and converted in about 5-30 minutes. The standard fee charged by the exchange aggregates to 0.5% per transaction. A cryptocurrency exchange found online where you can exchange cryptocurrencies without being identified. Basically, you aren’t paying any other party but you’re paying changeNOW to purchase on your behalf. The process of authorizing the exchange to purchase on your behalf will attract a standard fee. The feature that makes this exchange different from other is the anonymity that it maintains for the users. Talking about the availability of coins on the exchange, there are approximately 150 coins obtainable for exchange and to name a few- Aelf (ELF), Aeron (ARN) and Walton (WTC). Primarily based in Singapore, the invention of the exchange was visualized by three well-known companies of China, who joined hands together to build this distinct platform of digital assets in the world of the blockchain, thus making it the largest exchange in China. The exchange facilitates crypto-to-crypto trades at a rate of 0.01%. Concerning the account security aspects, the exchange provides 2-factor authentication and online storage of funds. The exchange is planning on increasing its popularity in the western circle and for now, is focus on widening its reach in Asia. Japan’s licensed digital currency exchange provides merchants with a payment mechanism where they can accept cryptocurrency payments and convert it automatically to ¥. Users can also utilize it as a traditional bank savings account with interest rates of up to 5% on deposits. Apart from its exchange services, the company offers bill payments in Bitcoin by joining hands with some of the prominent power utilities in Japan. The cryptocurrencies that can be traded on the exchange are Lisk, Ripple, Ethereum Classic, Monero, Ethereum and much more. The Yen bank transfers carry no charge whereas the deposits made in USD are charged at a flat rate of $25 or ¥2500. Also, the withdrawal of yen is charged at ¥400 and for USD withdrawal the fee is ¥2500. Offering the trading of digital cryptocurrency assets, CoinEgg was launched in the year 2017. Located in Birmingham, United Kingdom the exchange enjoys a good reputation because of its to trade an intensive range of digital assets including cryptocurrencies that are not so profound. The exchange is not backed by any of the regulatory authorities and is yet to build a strong reputation among the users. CoinEgg doesn’t support any fiat currency trading pairs. Although the platform doesn’t charge anything for depositing cryptocurrencies it does charge for withdrawals and the charges may go as high as 1% of the trade value. When we talk about CoinExchange, the exchange made its way into the crypto world by specializing in Alt-coins. The crypto-to-crypto platform is not offering any fiat currency support to its users. For deposits, Ethereum can be used. What comes as a noting fact is that there are over 400 cryptocurrencies available on CoinExchange. Also, for crypto enthusiasts out there, CoinExchange hosts new initial coin offerings (ICO’s) as well. Trading fees stand at 0.15% of every trade you make. However, the deposits are always free to make. The user-interface is intuitive and exchange makes use of standard colour. With a standard account type, a user is entitled to a 1:1 leverage ratio. When we talk about taker fee at Coinfalcon, the fee rests at 0.20%. Based in the United Kingdom, CoinFalcon is garnering limelight from European investors, traders and other clients. When it comes to deposits method, one should understand that SEPA transfers have been supported by CoinFalcon. Euro is the only fiat currency that can be utilized on CoinFalcon. 98% of the funds at CoinFalcon are stored offline. There is an intuitive availability of over 30 coins at CoinFalcon. Some of them are Bitcoin (BTC), Bitcoin Cash (BCH), Litecoin (LTC), IOTA, NANO, Tron (TRX), Golem (GNT), DOGE coin and more. Coinfloor is a UK based cryptocurrency exchange. Since its inception in the fiscal year 2013, the website has been attracting a major crypto user traffic mainly from the UK region. One should understand that Coinfloor has successfully attracted investors such as VC Fund, Passion Capital and much more. Coinfloor has been registered under the UK business reg number 08493813 and is based in London. From account creation to account verification and then, transaction limit upgradation, Coinfloor has kept the process trusted and simpler. At Coinfloor, 100% of the user’s coins and assets are stored in cold offline wallets. There is an upper withdrawal limit of 2 BTC per transaction and one can make only 3 such transactions in a day. One of its kind, Coinnest is a Korean crypto trading platform which was earlier serving only Korean traders and now, is open to the world. Coinnest was formed in the fiscal year 2017 only in Seoul. When talking about the per day trading volume, Coinnest is currently handling over $100 million USD of crypto trades. The exchange is decentralized and is not at all regulated. For fiat currency support, a user can make use of South Korean Won (KRW) as well as US Dollar (USD). Till date, there are over 35 cryptos available on Coinnest for trading purposes. The platform only charges a trading fee of only 0.1% on every trade. On the other hand, for every fiat currency related withdrawal, you’re required to pay 1000 KRW. With features such as 1 million transactions per second, order routing, advanced order types as well as third-party audits, CoinSpark is a Cayman Islands-based crypto trading platform. One should understand that the US citizens are not allowed to participate in ICOs at CoinSpark. They can, however, bypass this restriction through a private placement memorandum. You can easily make trades concerning cryptos on CoinSpark. There is a generous availability of cryptos such as BTC, LTC and ETH on the platform. The portal currently offers over 100 cryptos for trade. For now, there is no support available for fiat currencies, however, the portal has promised to introduce the same, later. Registered in New Zealand, Cryptopia is a private company which is well registered with the Government of New Zealand. The platform was founded in the year 2014 and since then, the platform is garnering limelight. However, according to the official documents, Cryptopia is a software development service company. Still, there is a huge availability of crypto exchange on the portal. You can get your hands on over 60 cryptos. As soon as you create an account on Cryptopia and get yourself verified, you can unlock a daily withdrawal limit of $5,000 USD. The limit can further extend to $50,000 USD over a period of 24-hour period. Equipped with security features such as SSL, trusted IP, two-factor authentication as well as encrypted cold wallets, Exmo is offering around the clock crypto trading services. There is a huge fiat currency support on the portal with currencies such as USD, EUR, RUB, UAH and PLN. Talking about the cryptos available, you can trade DASH coin, Kick coin (KICK), Ripple (XRP), Ethereum Classic (ETC), Ethereum (ETH), Bitcoin Cash (BCH), Bitcoin (BTC), Tether (USDT), INK and more. The trading fee at Exmo rests at 0.2% and the deposit fee is variable in nature, solely depending upon the combination of fiat currency and method chosen. Exchange X is a leading crypto trading platform which hails from Hong Kong. Since its inception in 2017, EXX has specialized in providing crypto trading services for Qc markets, USDT markets and even the ETH & BTC markets. The platform is owned and managed by a company called EXX Group Ltd. The website has a great interface and there is a dedicated smartphone application for users as well. Till date, there are over 48 cryptos available at EXX for trade. One should understand that you can have 10 sub-accounts under your main account when we talk about managing the crypto holdings. EXX doesn’t offer any support for fiat currencies as of now. The standard trading fee at EXX rests at 0.1% of every trade. All you need is a phone number and an email to make an account on EXX and further, no verification is required. One of the most popular crypto trading website, Gate.io was launched in the year 2017. You can get access to a hassle-free crypto trade on Gate.io.You can even get access to specific information about crypto coins as well as the market news on the portal. Currently, the platform is operating and managing over $40 million of daily crypto trades involving cryptos such as EOS, Ethereum (ETH), Bitcoin (BTC), Bitmark (BTM), Ontology (ONT) and even the Tether (USDT). A fee of 0.2% is levied on every trade you make at Gate.io. The website offers a dynamic functionality and you also get access to trading history, advanced charting and even the order book. One of the most experienced crypto trading platform, HitBTC has been in existence since 2013. The platform is a famous marketplace for the beginner as well as the advanced crypto traders around the world. You can trade cryptos such as Monero (XMR), Tether (USDT), Litecoin (LTC), Dogecoin (DOGE), Ethereum (ETH), Bitcoin (BTC) and more on HitBTC. Being a Hong Kong-based crypto trading platform, the platform offers high-liquidity as well as superior engine technology to traders. The commission charged by HitBTC on every trade is 0.1 per cent. Also, you can even get your hands on the valuable HitBTC Market-Making contracts. The platform also offers dedicated HitBTC API for trading bots. Regarded as the centre of crypto trade in Asian markets, Huobi was founded in the year 2013. The website has holdings in Japan, Korea and even the Hong Kong. However, the headquarters are located in Singapore. One should understand that the US users are always warned when they register on Huobi due to the US regulatory laws. Apart from that, Huobi is functional in over 130 countries worldwide. You should note that fiat currency support is available for currencies such as Chinese Yuan (CNY), US dollar and even the Singaporean Dollar (SGD). There are over 40 USDT pairings as well as 100 BTC pairings available on Huobi. Koinex is a reputed and robust crypto trading platform which is based in India. The exchange features a taker fee of anywhere between 0.15 % to 0.25 %. When we talk about the applicable withdrawal fees, Koinex charges 0.001 BTC. Also, if you’re looking forward to making a deposit on Koinex, you’re required to shell out 0.001 BTC or 2000 INR. Equipped with security features such as two-factor authentication, encrypted assets and dedicated customer support, Koinex is an out of the box choice for traders. You can get access to cryptos such as Ripple (XRP), Litecoin (LTC), IOTA, Golem (GNT), Bitcoin Gold (BTG) as well as OmiseGO (OMG) at Koinex. Korbit is based in Seoul, South Korea. The platform was founded in the year 2013 and is offering over 11 trading pairs. You must stress-upon the fact that Korbit handles the daily transaction of worth over $100 million USD. If you wish to get access to the trading API, that is also available on Korbit. The trading fee applied by the platform is 0.2% of every transaction. There is no deposit fee as such. One should note that there are over 5 verification tiers available at Korbit and the daily withdrawal limit is in sync with the same. The makers pay at Korbit is 0% and the takers pay is 0.01%. If you’re looking forward to a crypto trading platform which offers security as well as advanced features, Kucoin can be your pick. The platform was founded by people who have worked as heads of GF securities, Ant Financial, iBOC pay and more. You can access the user-friendly website as well as smartphone application with added ease. Kucoin was made live in the year 2017 and since then the platform is going up. The fees are just 0.1% for transactions. Also, withdrawal fees for BTC and ETH rest at 0.0005 and 0.001 BTC. The customer service at Kucoin is proven and runs 24*7 for their worldwide users. The security for their assets is a bank-level type. The peak order processing capacity of Kucoin portal stands at 1 million-plus orders per second. Are you looking forward to gaining access to higher liquidity in Ethereum? Liqui is the platform. What comes as a noting fact is that a user while trading on Liqui can open a savings account. Further, this savings account can provide you with an annual 24% interest. The crypto trading platform is based in Kiev, Ukraine. Founded in 2016, Liqui has performed solidly in these two years. There is next to no verification process when you make an account on Liqui. You should know that savings account funds are never blocked by the platform. You can trade amidst cryptos like Bitcoin (BTC) and Ethereum (ETH) at Liqui. Also, there are over 60 different cryptos available on the platform. The fiat currency support has been extended by Euro and USD credit/debit cards. One of the most respected and biggest European crypto trading platform, LitBit.eu is offering around the clock crypto buy and sell services. The website doesn’t charge its users for account creation and regular associated usage. The trading fees depend upon the type of coin. There is next to no API support at LitBit.eu. The security features include two-factor authentication, encrypted 99% cold asset storage and more. There are over 51 cryptos available at LitBit.eu for trade. You can even access the LitBit.eu without any verification and can get your hands on regular withdrawal limit of 75 Euros. Best suited for both, novice as well as experienced traders, Livecoin offers a generous number of cryptocurrencies to their users. Also, you should know that the exchange is currently amidst the top 10 altcoins exchanges on the internet. The website features a multi-lingual support and is available in languages such as Chinese, Indonesian, Italian, French, English and Russian. Launched in 2013, Livecoin is owned by Delta e-Commerce which is a London based company. You must know that Livecoin supports every country in the world except the USA. Some of the profoundly used payment methods on Livecoin are OKPay, Capitalist, Playeer and more. You can also make use of credit and debit cards to fund your accounts at Livecoin. Lykke is a leading marketplace to exchange cryptocurrency on the internet. The company falls in the domain of FinTech organizations and has been designed to make trade possible for an array of assets and instruments. One should understand that Lykke has made use of distributed ledger technology for the purpose of facilitating the transactions. Lykke platform also offers its own coin, LKK. Lykke is thoroughly located in prime locations such as Switzerland, London and Vanuatu. One should understand that Lykke supports almost every country in the world except the USA, Japan, Canada and Australia. Some of the most popular trading pairs at Lykke are BTC/LKK, ETH/LKK, LKK/CHF and BTC/USD. Also, there are no trading fees charged by Lykke. With a minimum deposit threshold of 0.0001 BTC, you can gain access to leverage trading on Mercatox. The platform also charges a trading commission of 0.25% on your every trade. In a nutshell, Mercatox is a peer-to-peer (P2P) trading exchange which is offering dedicated trading facilities for cryptos. One can even get access to lending services at Mercatox. The company is based in the UK and is operational since the year 2016. One can always trade fiat currencies such as RUB, EUR and USD on Mercatox. The most traded and popular pair at Mercatox is ETH/BTC. When it comes to funding the account, you can make use of methods such as Yandex Money, OkPay, Perfect Money, QIWI and more. Poloniex is one of the most rapidly growing crypto trading platforms. Poloniex is based in the USA and offers dedicated crypto trading support and service. There is no crypto service available for users hailing from New York, Washington. The portal also doesn’t allow users to exchange the tokens for money. There are over 90 plus trading pairs available on Poloniex. The security is proven and dedicated. The portal charges a 0.25% fees on every trade you make on the website. However, there are next to no deposit charges. The user interface is not suitable for beginner traders, the website offers advanced tools for expert traders. RightBTC was made public in the year 2014 and since then, the portal has maintained a reputed crypto trade service. The crypto trading platform has its headquarter in Dubai. One should understand that RightBTC is completely unregulated. Anyone from around the world can make use of RightBTC for the purpose of crypto trade. You can get access to advanced crypto trading tools, analysis, charting features, guides and history as soon as you sign-up with RightBTC. There is a dedicated smartphone application as well to ease the things up. You can access to crypto token entities such as Bitcoin (BTC), Ethereum (ETH), Bitcrystals (BCY), Metaverse (ETP) and more at RightBTC. Moreover, there are over 20 dedicated cryptos available on the portal. As a matter of fact, there are very few crypto trading platforms and marketplaces around the world that offers the trade of Wave assets. Designed specifically as a waves-integrated exchange, Tidex also offers digitized trading of fiat currencies. What comes as an important fact is that people can list their own tokens on Tidex after the same is approved. The platform was founded in the year 2017 and had originated from the UK. Currently, the company has moved their entire operations to San Francisco, USA. There are over 185 market trading pairs available at Tidex and the exchange is handling $19,500,000 USD of trade worth daily. Launched in the year 2015, Yobit is battling lawsuits as well as complaints ever since. However, despite all this, the exchange has maintained a fair share of popularity and crypto trading services. The portal hails from Russia and was founded by Russian blockchain developers. The portal offers a multi-lingual support for users around the world and is available in major languages such as Russian, English, Chinese, Hindi and more. There are over 500 altcoins presents for trade on Yobit. Also, you must know that you can also buy some of the cryptos directly via real cash. Any individual or start-up can register on Yobit and may list their own token by paying 0.1 Bitcoin. Major crypto supported on Yobit are Dash, Litecoin (LTC), Monero (XRM), Ethereum (ETH), Lisk (LSK), WAVES and more. When we talk about one of the most robust and experienced crypto trading platform hailing from Japan, Zaif tops the list. Not only Zaif helped Japanese regulatory authorities frame regulations in Japan, but the portal also became the first ever licensed exchange in the country. The portal is owned and operated by a company called Tech Bureau. Made live to the public in the fiscal year 2014, Zaif has its headquarter in Osaka, Japan. There are over 40 crucial cryptos available on the Zaif and the crypto markets available are MonaCoin, NEM, Bitcoin and Japanese Yen. Talking about the average commission which the website charges from the user, the value is 0.01%. 97% of the funds at Zaif are stored in cold storage wallets, hence, Zaif is considered to be secured.